PAUL CHESNE BAND: And The "Experts" Say The Economy Is In The Tank. No Problem Here! And The "Experts" Say The Economy Is In The Tank. No Problem Here! 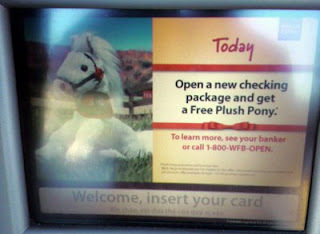 I just took this at the Wells Fargo on the corner of Crescent Heights & Wilshire. You better run over there quick. They're closing in a few hours!